Established in 1944, Schoch Dairy is located on the famed El Camino Real in the fertile Salinas Valley. This family of brothers brings raw milk to the Santa Cruz Community Farmers' Markets. Brothers Adolph and Ernest emigrated from Switzerland and found their way to California, establishing a family farmstead where they could continue the work they knew best: dairying. At that time, hundreds of small dairies dotted the Salinas Valley, where rich soil and the temperate coastal climate provide ideal conditions for grazing and milk production. Over the years, not much has changed on Schoch Dairy. The morning milking still starts before the sun rises over the Gabilan Mountains, and the cows still graze on pastures dampened by fog drifting east from Monterey Bay. Today, Schoch Dairy is one of only a few family dairies remaining in Monterey County. Milking only 100 purebred Holstein cows, the Schoch family have held true to their commitment to “quality over quantity”. John Schoch, 2nd generation dairyman, literally takes a hands-on approach to running his business while doing most of the milkings himself. This keeps him connected to his herd, allowing him to be more insightful in managing herd health along with a more effective feeding and breeding program. In addition, his 3 sons are all involved with the family business to varying degrees, some having day jobs to help pay student loans or home mortgages. The dairy industry in California has changed dramatically since the days of Adolph and Ernest. Gone are most of the small family dairies supplying the local market. Instead, the “get big or get out” philosophy has reigned supreme. The average milking herd in California is nearly 1,000 cows. 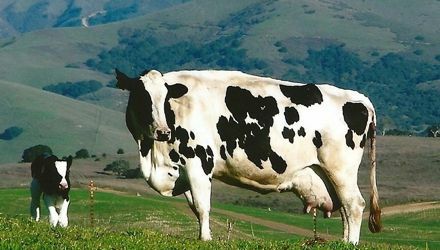 And rather than being located in the temperate climates of the coastal valleys, these large dairies have proliferated in California’s arid Central Valley. The less than ideal locale of today’s confinement dairies are justified by their economies of scale, efficiencies, units of production, and profitability. The Schoch family has recently struggled with the reality of falling milk prices and skyrocketing costs. The large co-op creameries do not pay a premium for tradition, or even sustainability. It is at this juncture that the Schochs have decided to begin producing artisan quality farmstead dairy products. They are currently in the process of building a state inspected and approved (CDFA) facility that would support this venture. While moving towards the goal of producing artisan quality farmstead dairy products, John Schoch and his 3 sons have also been focused on maintaining their legacy of land stewardship. They have been actively involved with the Natural Resources Conservation Service, the Resource Conservation District of Monterey County, and the Community Alliance of Family Farmers. Recent projects have included native hedgerow plantings, riparian habitat restoration, wastewater collection and reuse, composting, erosion control, nutrient management practices, improved pasture management and rotational grazing, just to name a few. Sound green? I assure you not as green as the myriad of locally sourced fresh vegetables the milk cows eat on a daily basis. Schoch Dairy is truly a one of a kind family operation that may soon become an agri-tourism destination, a place where other families can bring their kids to learn about the origins of their favorite dairy product.